What Delilah Did is the work of author and needlework designer Sophie Simpson. Sophie is based in Norfolk, England, where she creates patterns, kits, books and handmade goods from her home studio. 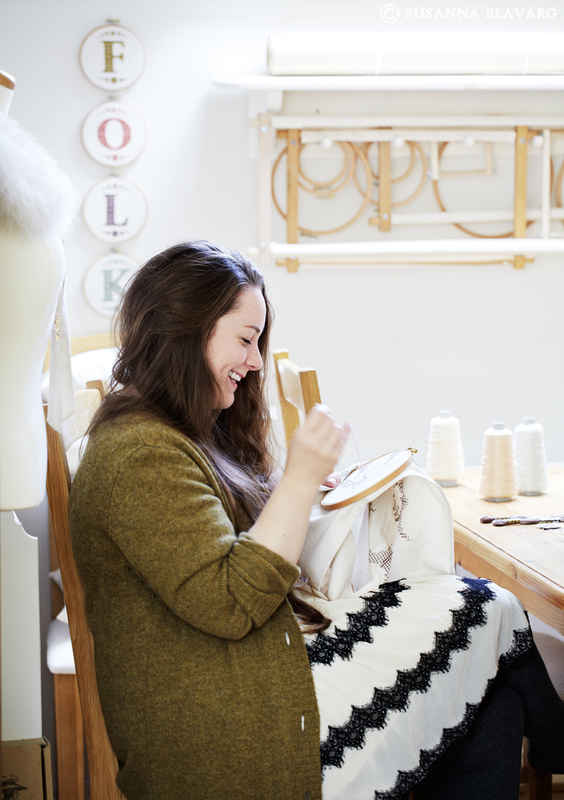 With a focus on making by hand with needle and thread - from cross stitch and sewing to knitting and crochet - Sophie takes inspiration from traditional crafts, history and the countryside surrounding her home. Made in small batches using exquisite materials, Sophie's distinctive kits and patterns are quite different from any you will find elsewhere. She aims to take all the hard work out of her projects so that you can simply relax and enjoy making them. When not working, Sophie can be found exploring the countryside on foot, wandering around old houses, or curled up under a blanket watching a period drama.